OnePlus has been quite successful in the smartphone business, making a name for itself by starting and still ruling the budget flagship market. Its smartphones have offered a lot of features, and of the highlighted features have got to be the Dash Charge. However, the company has lately been avoiding using the term altogether, and now we may know why. It was earlier reported that the EU had recently rejected the Chinese smartphone maker’s application to use the ‘Dash Charge’ branding following opposition from at least two companies, including Amazon. As a result, the company stayed away from even mentioning the term at the launch of their recent flagship, the OnePlus 6. Moreover, in the latest builds for their devices, the term “Dash Charging” has been replaced with “Fast Charging”. Well, if you’ve been wondering what creating name the company would come up with for its charging technology, check this out. 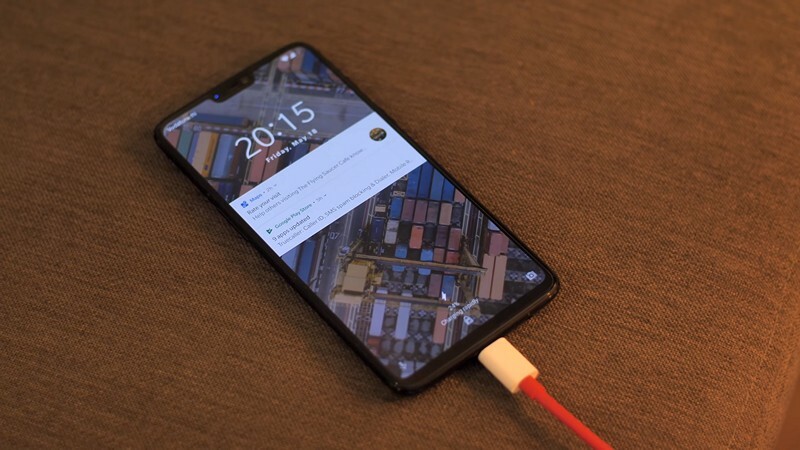 A recent trademark filing in the EU indicates that OnePlus has settled on “Warp Charge” as the probable rebranding of its fast charging solution. The application for “Warp Charge” was made at the European Union Intellectual Property Office (EUIPO), and falls in the Nice class of 9. It is worth pointing out that the application for the Warp Charge trademark is marked as “under examination” by the authorities. As such, OnePlus will get brand name protection only when their trademark is accepted, so we can expect an official announcement and subsequent usage when they do get regulatory approval.